It was so much fun sitting down with Grant Baciocco to talk creativity this week. Grant is an old friend from the earliest days of podcasting (2004) and I am always watching his career and enjoying whatever work he us currently engaged in, including his own podcasts — like Grant’s Advent Calendar, which we watched religiously when Joseph was younger — and his in-theater and on-screen work with PuppetUp! and much more! 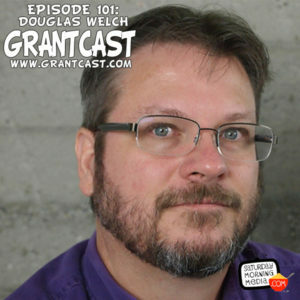 Douglas Welch is an author, podcaster and new media and social media consultant. In this interview we discuss how he uses creativity in his work, plus discussion on his past int he world of theater, Walt Disney Imagineering and more. 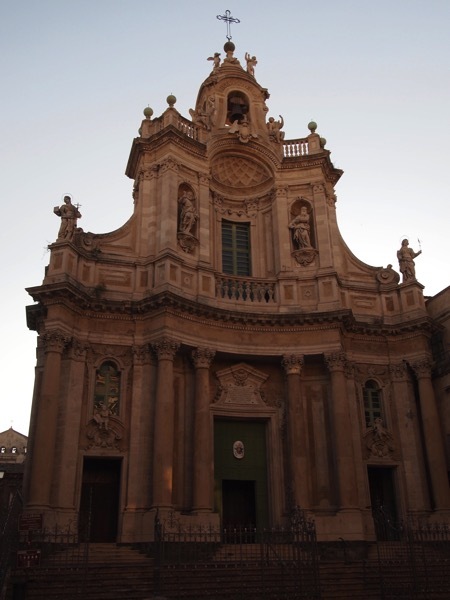 On one of our last evenings in Sicily, we walked around Catania Centro, taking in the sights, people watching and, in the case of this audio, hearing the church bells chime. 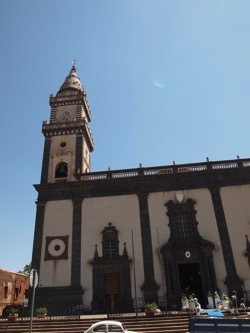 We were walking on our return journey, headed back towards Villa Bellini, when the call to mass erupted from the bell tower. With a quick grab for my recorder, I caught these peals to share with you. Our Sicilian family had taken us sightseeing this day and we were wandering around the small town of Pedara, Sicily, on Etna’s eastern flank. As usual, we were viewing a lot of church’s along the way and — being it was late July — there were weddings in nearly every one. 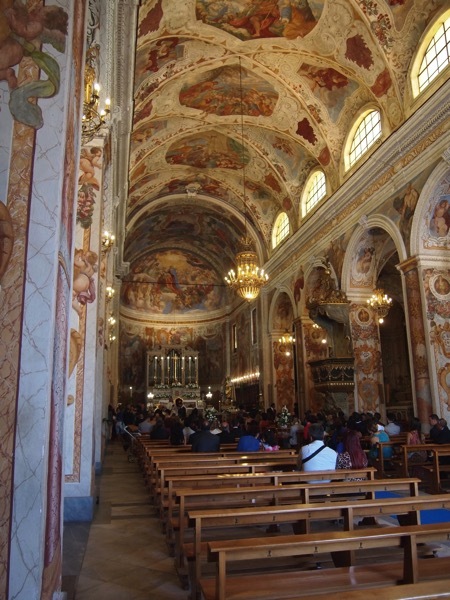 As I entered the church — Basilica S. Caterina Alessandrini — the Ave Maria began, but this was unlike the typical organ or piano accompaniment. A full brass band was providing the music for this service and both there — and the singer — sounded amazing in the wonderful acoustics of the church. A walk through my neighborhood and to the local electronics shop. Testing out my new GoPro Clamp attachment clipped to my the strap of my bag. Worked pretty well for this time-lapse. Last Sunday we attended the latest performance of of Word Now! at the Fremont Centre Theater in South Pasadena. The show is co-produced by a close friend and his wife was also presenting a story that evening, so we HAD to go, of course. It was a great night out and the stories were absolutely amazing. We certainly plan on attending again! The stories approached it in a variety of ways. Cold weather. Cold People. Cold World and more! 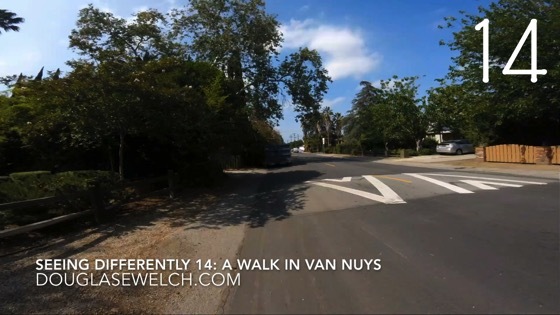 You can listen to the entire show here and I also greatly encourage you to see the live presentation in South Pasadena. Word Now! performs every 2 months, so watch the web site for their March dates! New Media Interchange is a podcast spotlighting various developments in New Media & focusing on the media world beyond mainstream television and radio, including podcasting, YouTube, live streaming, gaming and more. Hosted by Douglas E. Welch , pioneer podcaster, blogger and new media consultant. New Media Interchange is part of the 3rd Pass Media Network which is launching a series of shows this week including Mindul(l) Media, The Render Break Report, New Media Interchange and More. 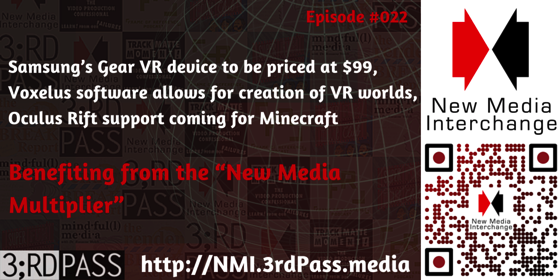 You’ll find more information about 3rd Pass Media at http://3rdPass.Media. This is New Media Interchange where we talk about the media world beyond mainstream television and radio, including podcasting, YouTube, live streaming, gaming and more. I’m your host, Douglas E. Welch, pioneer podcaster, blogger and writer. Today’s show is brought to you by Audible.com. I love New Media like podcasting and YouTube, but I also love all types of books. If you love audio books you can support New Media Interchange and 3rdPass Media by starting your free 30-day trial with Audible today. I recently produced this video abstract for my wife, Dr. Rosanne Welch, and I think it came out pretty well. I also think it is a good example of how you can use new media to share your work with anyone, not matter the subject. It is one of my goals to show everyone —especially those in the academic world — that there work need not be bland, obtuse or — at the worst — boring. 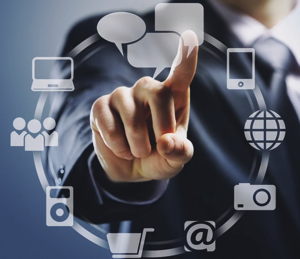 They need to share their work in the most innovative ways, using all the amazing new media tools now available and give their work the audience it deserves. A video abstract for Honey, You Know I Can’t Hear You When You Aren’t in the Room: Key Female Filmmakers Prove the Importance of Having a Female in the Writing Room. 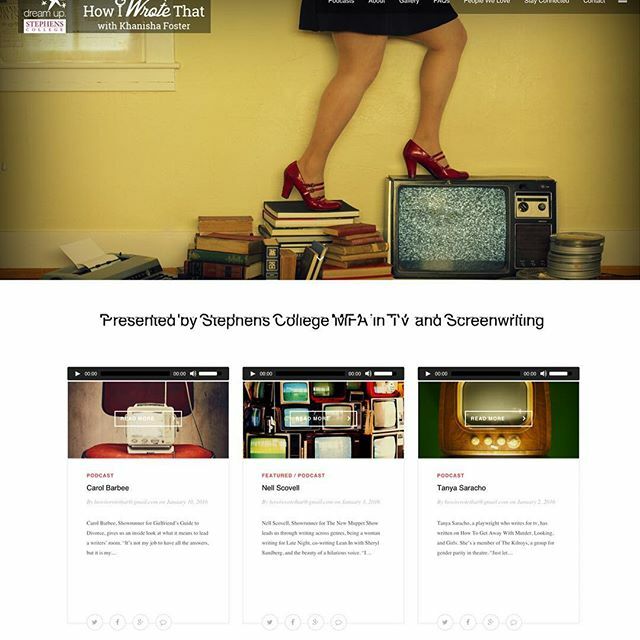 This paper will appear in the special issue journal, Gender and the Screenplay: Processes, Practices, Perspectives (eds. Louise Sawtell and Stayci Taylor (RMIT University, Melbourne)). It is too easy these days to focus on the big entertainment news coming out of New Media and ignore all the things that New Media can do for everyone else from individuals to freelancers to small companies and beyond. Sure, it’s great to see new shows with big name starts being picked up by Netflix and exciting to hear about one company buying another, but for me, this isn’t the heart of what New Media is about. Eleven years ago, when I started podcasting, I saw it is an opportunity for letting the world hear the underheard and see the underseen. It was about giving distribution and exposure to millions of people who never would have made it through the gatekeepers of mainstream media. Mainstream media, by the very nature of its technology had extremely limited time available for shows, so the competition was fierce. This often drove content to the lowest common denominator, designed to please the widest range of viewers possible — and deliver the largest number of eyes and ears to advertisers — rather than produce great content. New Media had no such constraints. You could do a show about woodworking, or knitting, or gaming, or butterflies and easily make it available to those who wanted to see or hear it. You didn’t have to garner 3 million viewers to stay on the air. You only had to create a show that served an interested and devote niche base of fans. We have lost of a bit of this idealism, though, as money and the influence it buys started to make its way into New Media. It took a long time — and much outright denial — for mainstream media folks — actors, directors, producers — to understand New Media, but now they are taking over. 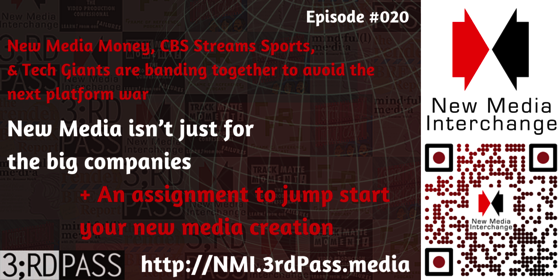 New Media Interchange 20: New Media isn’t just for big companies, a New Media Assignment and More! Today’s show is brought to you by Audible.com. I love New Media like podcasting and YouTube, but I also love all types of books. If you love audio books you can support New Media Interchange and 3rdPass Media by starting your free 30-day trial with Audible today. Choose from over 100,000 books, Including A Study in Scarlet, the first Sherlock Holmes story. 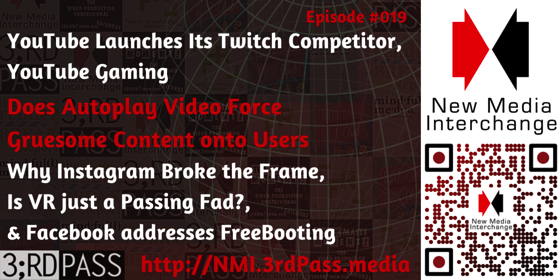 New Media Interchange 19: YouTube Launches Its Gaming Specific live streaming site and Does autoplay video force gruesome content on new media users? Does autoplay video force gruesome content on new media users? ..the next entries in myHardware Hotlist and In the Classroom series. 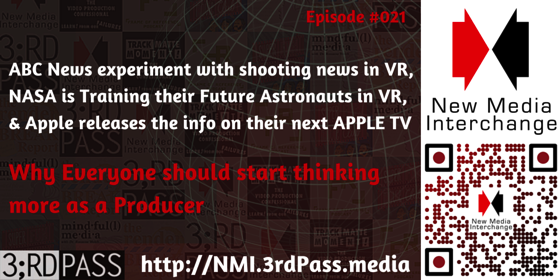 New Media interchange, my new show with 3rd Pass Media, is now available on iTunes. 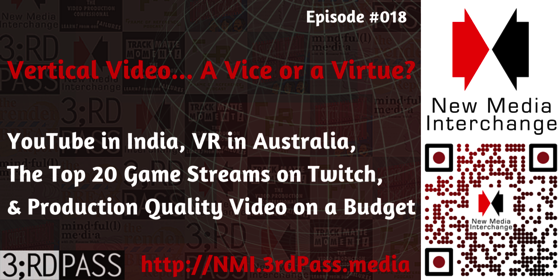 New Media Interchange 18: Vertical Video… A Vice or Virtue? A clip from this longer presentation — New Media Q&A 2015 for UCLA Extension Voiceover Class. Watch the entire presentation here! I hope this has been useful to you. I hope you enjoyed the answers to these questions. 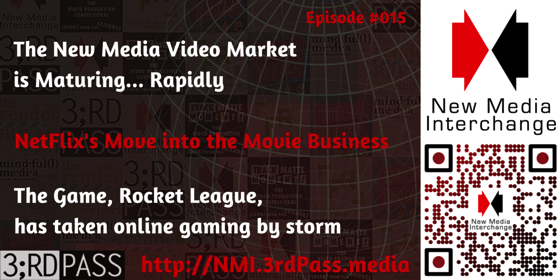 I talk about podcasting, new media, YouTube a lot. I’ll be happy to answer any further questions you might have. You can leave them as comments on this YouTube video, over on my various blogs at DouglasEWelch.com. I always love answering questions. It always gives me something new to write about on the blogs about new media and everything else that I do. Going back to the niche talk before, I do a lot of podcasts and a lot of blogs. I write about gardening, new media, and technology and general happenings here in LA. So, that should give you an idea of the breadth that podcasting and new media can should give you. So, thanks for watching. If you’re interested in a career in voiceover, please do check out Janet Wilcox’s class. You can visit UCLAExtension.edu. You can search on her name and you’ll see all the classes she teaches there and, because she’s teaching online now, you don’t have to be here in LA. You can be anywhere in the world and learn more about voiceover. For more information on everything that I do, visit DouglasEWelch.com and, until next time, keep on building your career. Do you know of any voice actors who have had successful podcasts? Well, I have one good example here, but I want to switch the question around a little bit. It is relatively easy for anyone who is already famous to have a successful podcast. As you might imagine, they already have an audience. They already have a group of people who are clamoring to hear more from them. So, a relatively famous person who has a podcast — they’re doing it for a different reason that I am giving to you. I want to reiterate with you that you need to start podcasting up front when you’re unknown, because that’s the way you can become more known. It’s the reverse of what they’re doing. They know they have an audience that they’re feeding, because they’re already somewhat famous. You are developing your audience from the ground up. So, it’s important that you get the word out there and – to harken back to the very beginning of this video — you need to tell people what you do and how well you do it and this is one way of doing it. What people do is, you have various levels of sponsorship you list out for people — all with various benefits for each level. You’ll get a sticker. You’ll get a mention in the show. You’ll get a credit at the end of the show. You’ll get some special product or special mention or be able to come on the show or whatever, depending on your level of patronage. And you basically say that I will give that amount per month, so that the person producing the show knows that they have a relatively stable monthly income that they can basically kind of know that I have my “nut” that I need to survive each month. 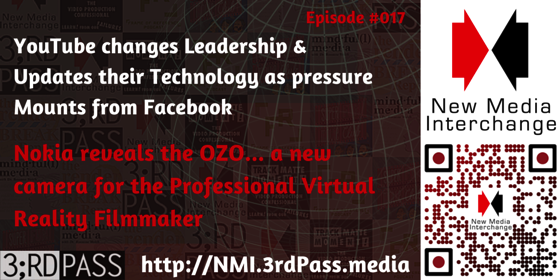 New Media Interchange 15: New Media Market Maturity, Robot League explodes and more!